Size: approx. 5-8 mm. Photo: 06/17/12, 2 pm. 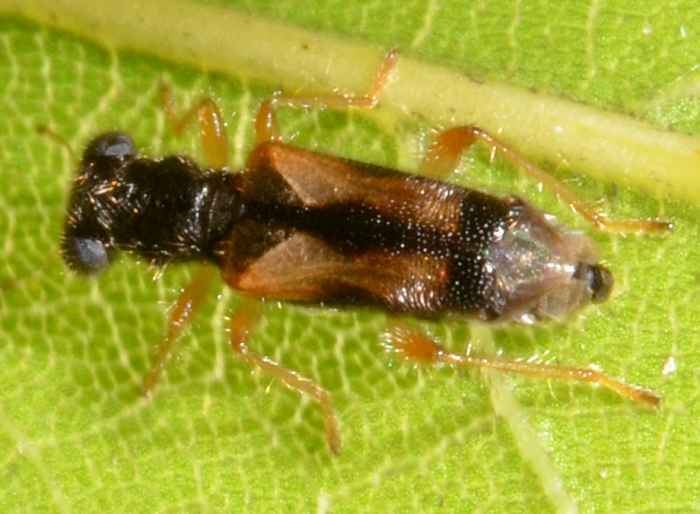 Phyllobaenus pallipennis has orange to brownish antennae, mouthparts, and legs. Its body, pronotum, and head are dark colored with two yellowish markings on each elytron. The genus has 49 species in North America.